This is a wee bit on the intricate side, and it's actually been simplified some from the original. 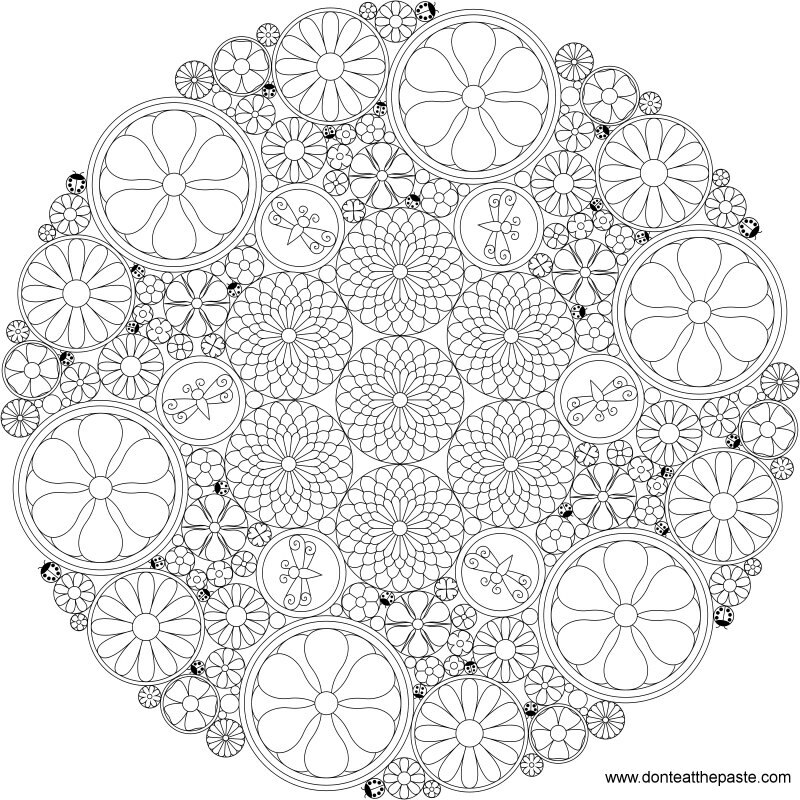 I do plan to draw a much simpler mandala using many of the same elements. 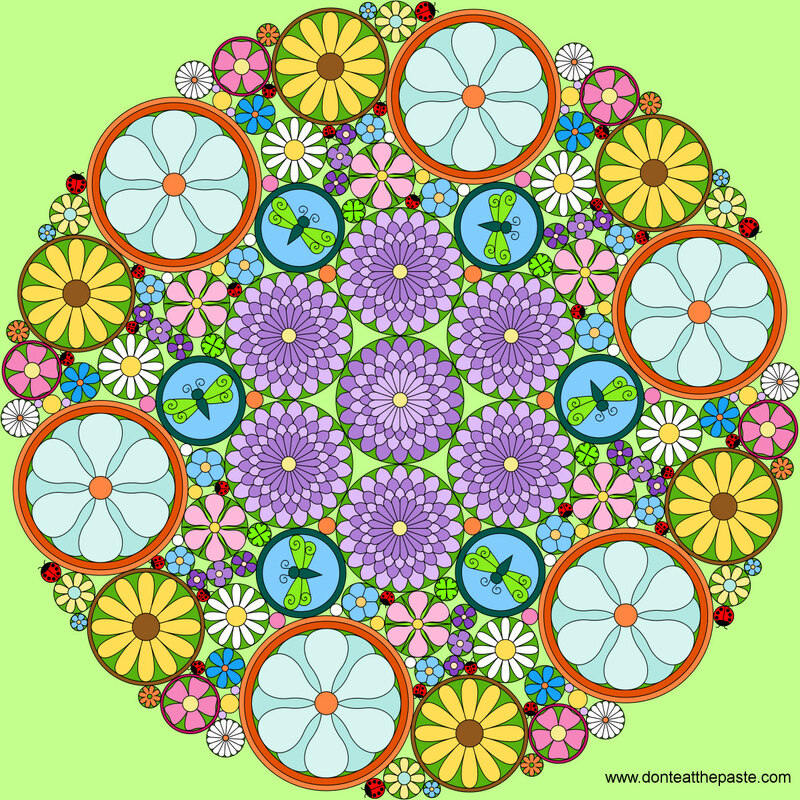 I hope you like this flower mandala for the first day of May!! Click on the versions below for larger versions to print and color. This month is my birthday! May 16th. I have no idea what to do for it yet. Any suggestions? 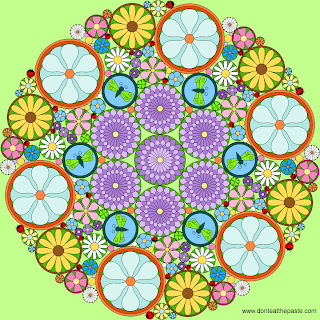 Your mandalas are beautiful. 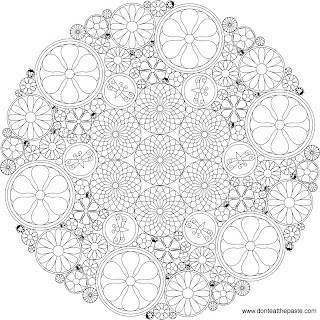 Will you be doing a May mandala with birthstone and flower?